Iron ore is an important raw material of steel producers.After crushing, grinding, magnetic separation, flotation, re-election and other procedures,natural minerals(iron ore)elected gradually of iron. Iron exist in nature all in compounds state, especially in the state of iron oxide but has more impurities. Such as hematite, magnetite, siderite, limonite, etc. Iron ore beneficiation process should be as efficient, simple to the extent possible in the most appropriate process to achieve the best effects. In the concentrator, the crushing and grinding operations of equipment investment, production costs, power consumption and steel consumption is often the largest proportion, so the calculation of crushing and grinding equipment selection and operations management is good or bad, in large determine the economic benefits of the concentrator. 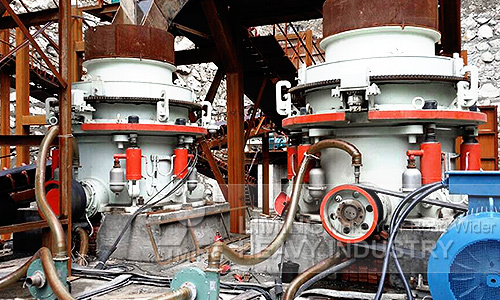 Put the 0.5-5 mm iron ore into the hopper, through the vibration motor vibrating material, the quantity can be made precise adjustment by hand wheel. By dragging the magnetic roller speed motor, the speed can be adjusted through the governor table, you can control the output and magnetic separator concentrate grade. Mineral particles are fed to the magnetic roller by conveyor to be sort.As iron ore mineral particles has magnetism,it is immediately adsorbed on the magnetic roller by strong magnetic field, while the gangue grains (miscellaneous stone, sand) has no magnetism (magnetic weak),it does not adsorbed by magnetic roller.Along with the rotation of the magnetic roller, mineral particles has been sucked in the magnetic roller, while the gangue grains is thrown off to in front of the compartment mine board when the magnetic roller to the front end position(by changing the angle of compartment mine board to adjust concentrate mine's grade), mineral particles continue to be taken off the magnetic roller then automatically fall into one volume anthology concentrate ore bucket to collect the finished product. Since the falling of the magnetic roller entrained gangue also has some weaker magnetic mineral particles, they will continue into the next magnetic roller for magnetic separation, magnetic separation of mineral particles into two finished anthology ore bucket to collect the finished product.The gangue was thrown out through tailings discharge port, thus magnetic separation process ends. Elemental iron (Fe) in the Earth's crust ranked fourth, it is the main component of the Earth's core. It exist rarely in nature in the form of primary metals. Pure metallic iron is silvery white with a very ductile, ferromagnetic at 1528 °C high temperature melting. All metallic iron used in modern industrial society is about 95%. Ferrous metals may arise in certain smelting iron compounds, mainly from iron ore. The most common production for metallic iron is from smelting iron ore to produce pig iron. Steel is an iron containing impurities such as silicon, phosphorus, sulfur and obtained by the processing of the form with the carbon reduction. In global scale, steel versatility is unmatched. Wrought iron (low carbon), iron (pig iron) also have important markets. One of the most popular products in Australia is corrugated iron, structural steel shaped into parallel grooves and ridges. It was invented by Henry Robinson Palmer in London in 1828 and quickly became popular in the roof and farm buildings.